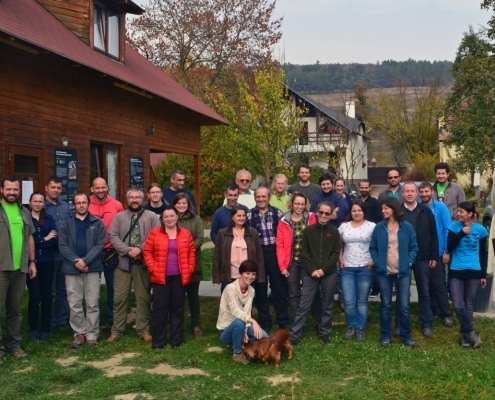 Between October 19-21 2018, the Center for Bat Research and Conservation organized the 3rd Romanian Bat Research Conference (3rd RBRC) at the Hanna Motel, Cernatu de Sus, Covasna County. The event benefitted from generous sponsorship from Pettersson Elektronik AB. 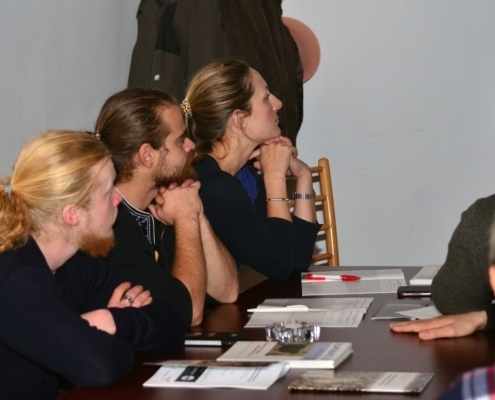 In total, 29 colleagues from 15 institutions, non-governmental organizations and protected areas participated. 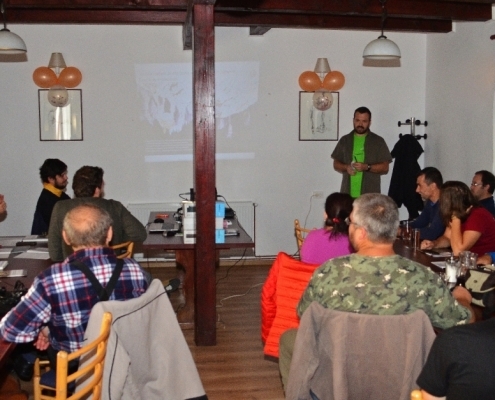 Csaba JÉRE, Levente BARTI, Szilárd-Lehel BÜCS, István CSŐSZ, Annamária DÓCZY, László SZÁNTÓ: Data on the activity of bats during the mating season at the caves of Vârghișul Gorge. Henrietta ONODI: Bats of Sugău Cave (Giurgeului Mountains, Eastern Carpathians). Dragoș Ștefan MĂNTOIU, Ionuț Cornel MIREA, Ionuț Cosmin ȘANDRIC, Oana Teodora MOLDOVAN: Spatial models of distribution of cave-dwelling bats based on microclimate. 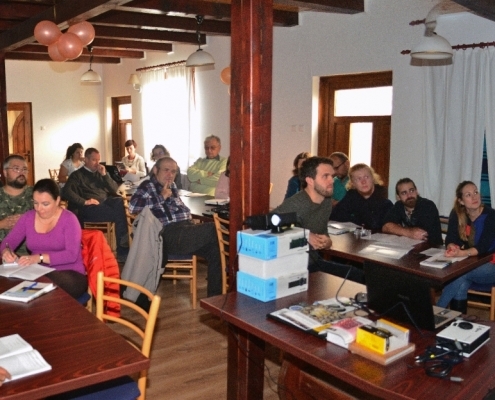 Georgiana MĂRGINEAN (CREȚU): Study of the bat communities of Făgăraș and Piatra Craiului Mountains. 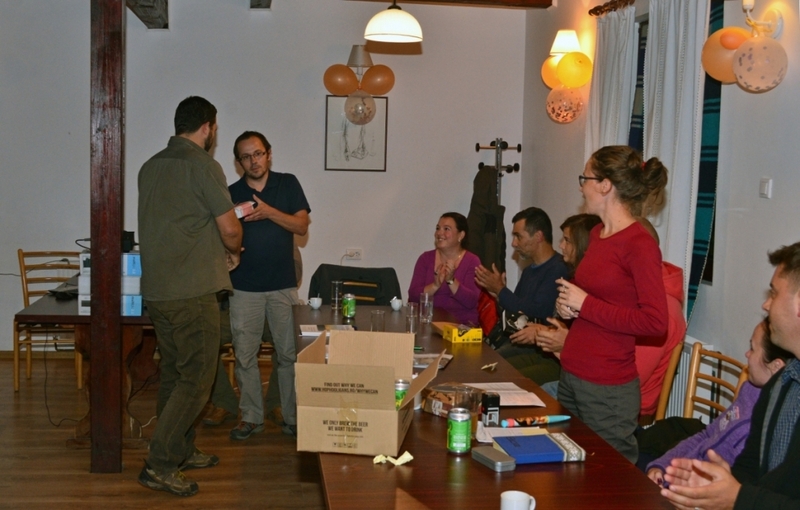 Adrian DONE, Gheorghe ROMAŞCAN, Tatiana DONE: Preliminary study on the bat populations of the Natura2000 site ROSCI0075 Pădurea Pătrăuţi, Suceava county. Daniela BORDA: The role of microclimate in roost selection of bats. 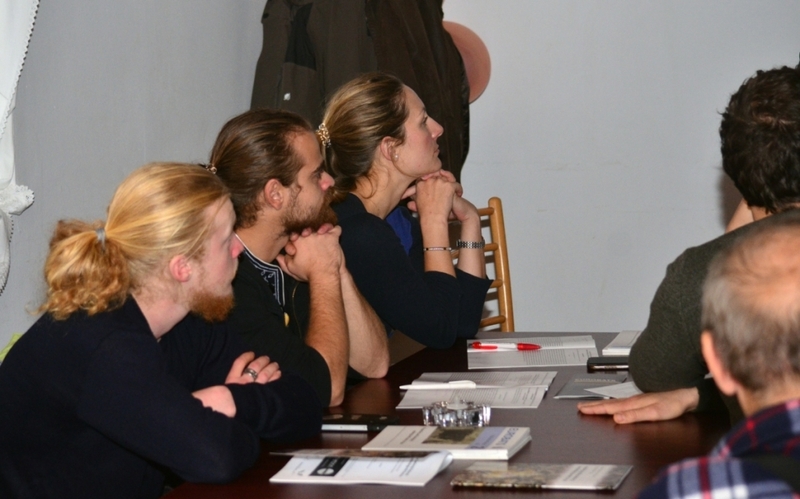 Thomas KITCHING: Târnava Mare Project with Operation Wallacea. 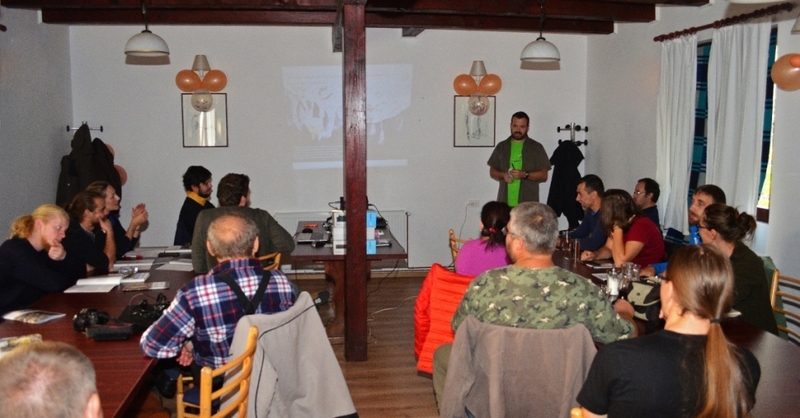 Ioan COROIU, Alin DAVID, Alexandru STERMIN, Helga SOROS: Speleotourism and bats. Case study: Cetățeaua Mare from Turzii Gorge. Dragoș Ștefan MĂNTOIU, Ionuț Cornel MIREA, Ionuț Cosmin ȘANDRIC, Ksenia KRAVCHENKO, Oana Teodora MOLDOVAN, Christian VOIGHT: The impact of wind farms on the bats of Romania. 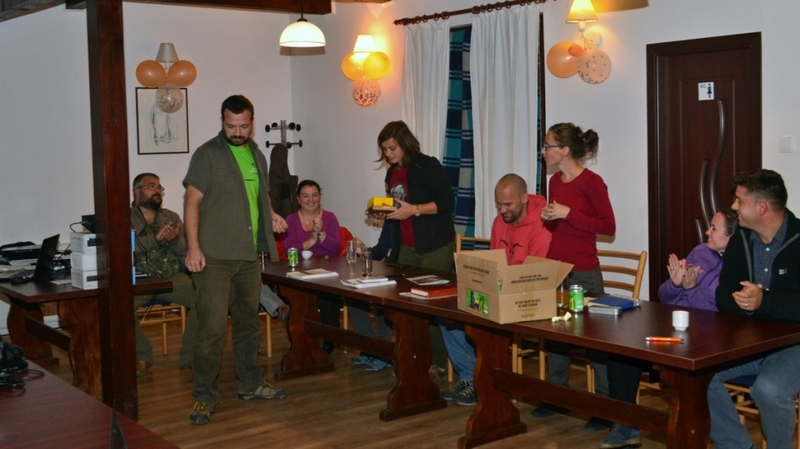 Attila D. SÁNDOR, Áron PÉTER, Alexandra CORDUNEANU, Levente BARTI, Sándor HORNOK, Krisztina SZŐKE, István CSŐSZ: Bats and their ectoparasites: distribution, seasonality and host-parasite relations. 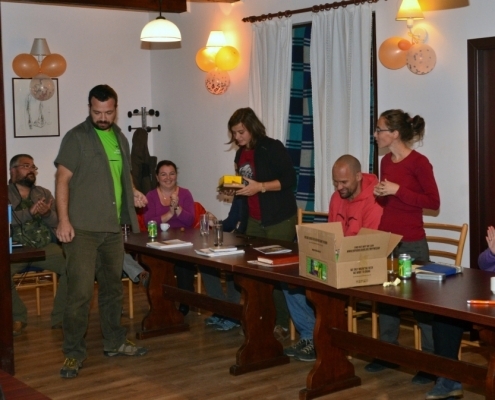 Flaviu Valentin BODEA, Ildikó GÖNCZI VASS, Mihai SZIGETI, Olimpia-Maria STAN, Szilárd-Lehel BÜCS: ROSCI vs. NOSCI – the bats of Făget Forest, a comparison between a protected area and its surroundings. Ferenc FORRAY, Robert ELEȘ, Ioan COROIU: Isotopical investigations on the greater mouse-eared (Myotis myotis) in a maternity colony. Alexandra CORDUNEANU, Attila D. SÁNDOR, Áron PÉTER, Kristýna HRAZDILOVÁ, Dragoş Ștefan MĂNTOIU, Ovidiu ROŞU, Ioan COROIU, Sándor HORNOK, Hans-Peter FUEHRER, David MODRÝ, Andrei MIHALCA: Detection of piroplasma in the tissue and blood of bats from Eastern and Central Europe. 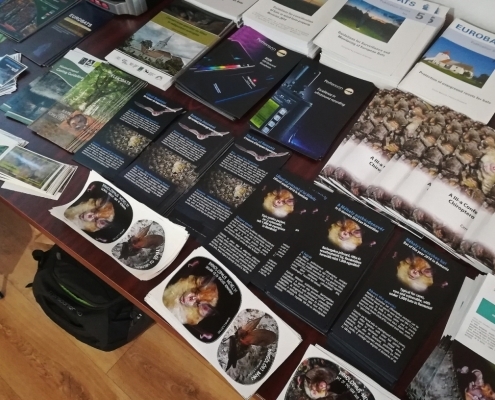 Szilárd-Lehel BÜCS, Csaba JÉRE, István CSŐSZ, Irina POCORA, Viorel POCORA, Levente BARTI: the contribution of Romanian bat research to the second edition of the Atlas of European Mammals. 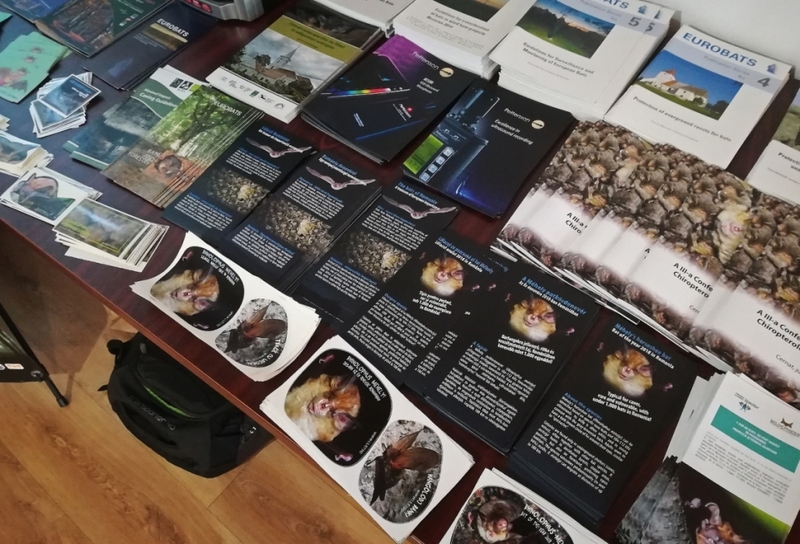 Levente BARTI, István CSŐSZ, Szilárd DARÓCZI, Annamária DÓCZY, Attila DÓSA, Csaba JÉRE, István KISS, Attila MARTON, László SZÁNTÓ, Ágnes VARGA: The bat fauna of Grindului Chituc (Dobrogea). Szilárd-Lehel Bücs, Olimpia-Maria Stan: Preliminary data on the bat fauna of the Eastern Park, Cluj-Napoca. 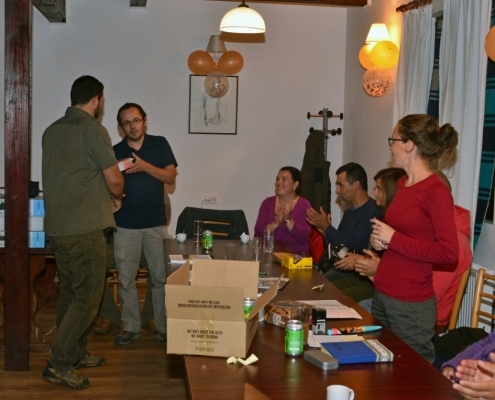 Dragoș Ștefan Măntoiu, Ionuț Cornel Mirea, Iulia Viorica Miu, Alexandra Chelu, Ovidiu Roșu, Oana Vasiliu, Ionuț Cosmin Șandric: Urban bats: ecological corridors in the city of Bucharest. Irina POCORA, Viorel POCORA: Barbastella barbastellus in different types of woodlands: habitat use and activity patterns. 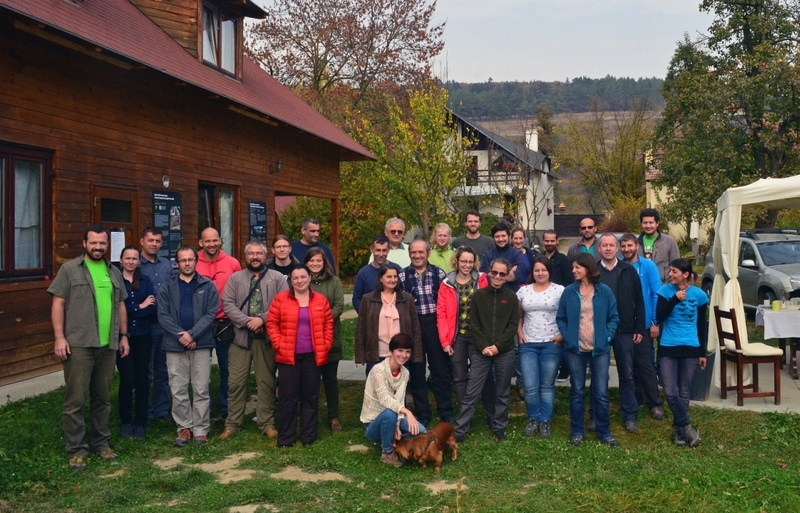 Thank you for your participation and see you in 2020 at the 4th Romanian Bat Research Conference.